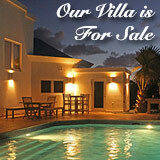 Who Says There's "Nothing To Do in Anguilla"? 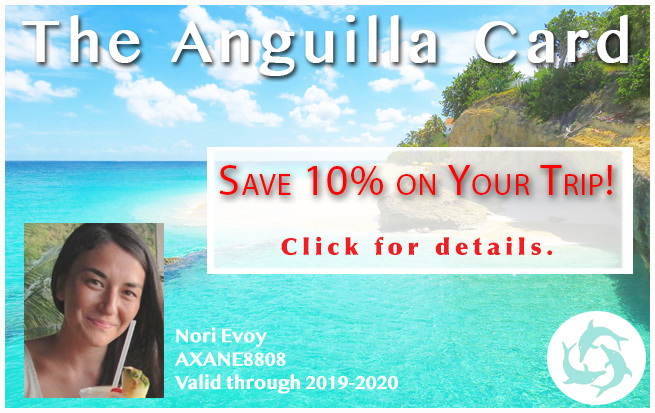 "Nothing to do in Anguilla?" 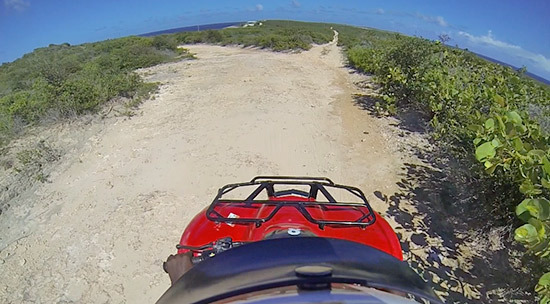 Get off the beaten path by exploring Anguilla with Freedom Rentals! 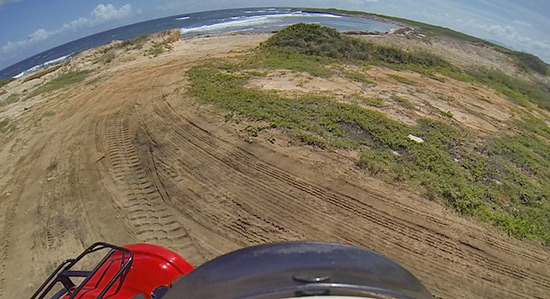 Famous for their Anguilla ATV rental, mere words can't capture how life feels off road. This short video clip says it all. Now, I have to admit. ATVs have always scared me. Big, loud, powerful, I never understood the appeal. That all changed the day my friend, Kirmani and I mustered up the courage to give them a try. 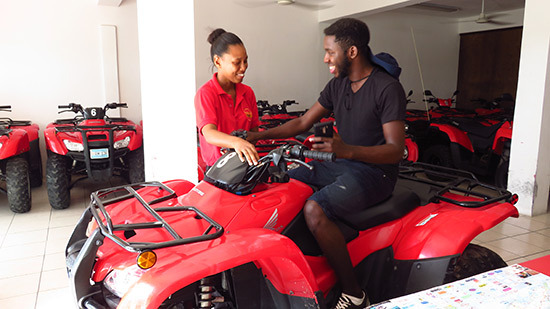 Freedom Rentals, the premier business for motorized personal vehicles and sea crafts in Anguilla, is the go-to for quality Anguilla ATV rentals. 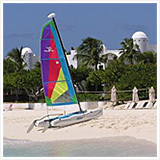 Their Tiger Rider boats have long been a personal favorite Anguilla activity of ours. 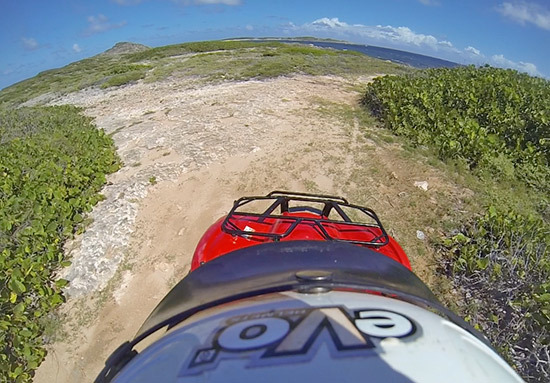 It was time now to experience Anguilla's terrain from a completely different perspective. 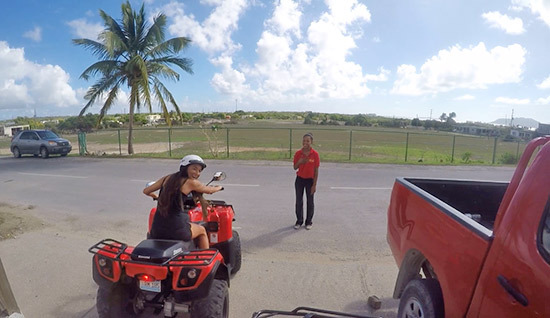 On a blissfully sunny day, we met up with Angella from Freedom Rentals to get our ATVs in gear! 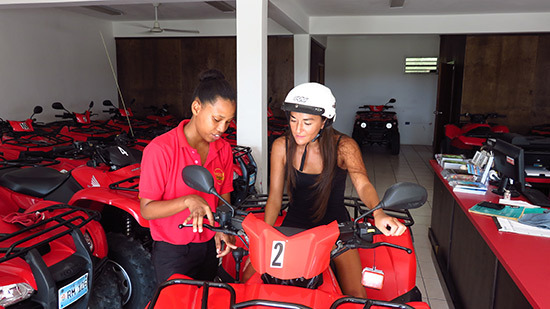 Paperwork completed, Angella got us acquainted with our ATVs. 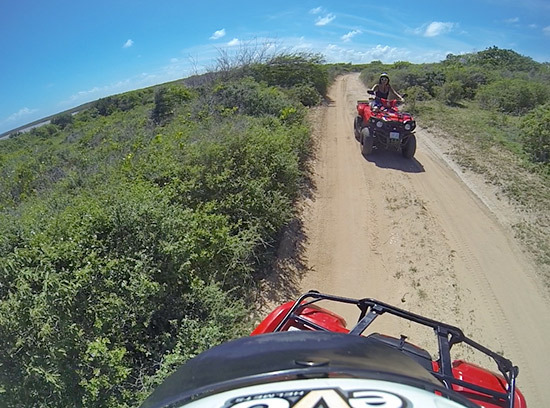 You need to be at least 16 years old to ride an ATV in Anguilla. Admittedly nervous, I opted for the easy-to-handle automatic ATV. Kirmani went with the semi-automatic. The semi-automatic requires more manual work and shifting gears, but also gives you more control and more speed. Go with this if you are a more advanced rider. After briefings on how to start, indicate, pump the breaks and use the clutch (for Kirmani), we were on our way, ready to hit the off road. 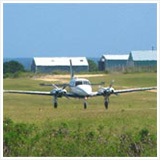 From Freedom Rentals' centrally located office in Blowing Point, we were in perfect position to head east! 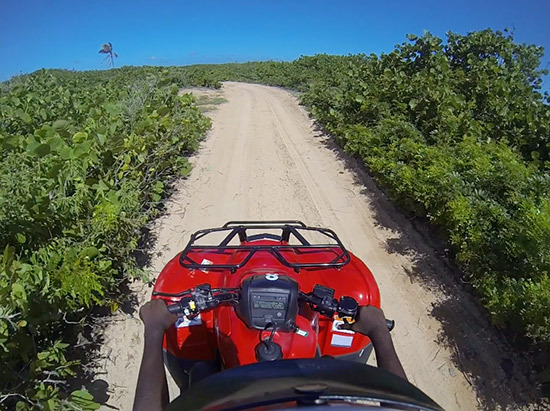 Staying away from tranquil beach destinations in Anguilla, we were ready to put these vehicles to the test in the more deserted Forest Bay area. SUGGESTION: ATVs are not the quietest things in this world. 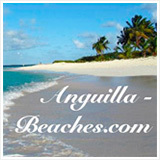 But Anguilla is, and many visitors enjoy the tranquility. 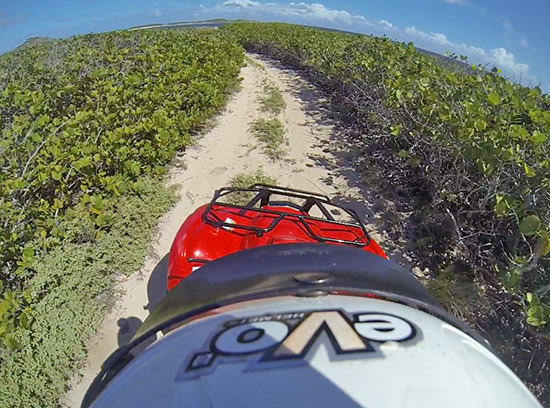 Keep Anguilla perfect by off-roading where most don't go, such as the itinerary outlined below. A right turn at Jeremiah Gumbs Highway and then a right towards Forest Bay (past the turn off to Little Harbour Estates and Coral Reef Bookstore), the drive is about 15-20 minutes. Driving along Forest Bay takes you to where the Jumeirah Golf Course begins. 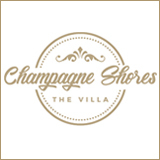 Jumeirah has halted construction, but when they first began development they cut many roads in the Forest area. Still in-tact today, these smoother roads make for a comfortable "first step" into handling an ATV on off-roads. 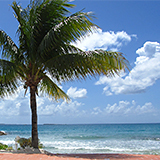 Meandering through roads lined with sea grape trees, bordering the Caribbean Sea and overlooking St. Martin, the views are stunning. We even found Auntie Dol Bay, a beach we had only previously seen on Google Maps! Through the winding roads of Forest Bay, our appetites for adventure were whetted! 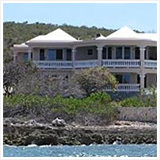 From the coastal drive along Anguilla's southern shore, we cut back inland to hit the main road and head even further east. The next destination? A level-up on the adventure richter: taking on Savannah Bay and Junk's Hole, another less-visited area full of fun backroads. The "back entrance" to Savannah Bay is set about a 10 minute ride from the Forest area. The turn off is located just after Colville Petty's Heritage Collection museum. The main road bends to the left here, but we kept straight, heading down the dirt road. Sandy and rockier than the roads in the Forest, I yelled ahead to Kirmani, "Don't take those sandy slopes too fast!" Too late. He zoomed on, almost landing in the bushes. I think we're going to have to nickname Kirmani "Road Warrior." Junk's Hole's palms swaying, blue skies overhead, the salt breeze kissing our cheeks, the wind tousling our hair... we were invigorated! Up, down, around and up again we went, landing at a high point on the back road where the vistas of Savannah Bay and Junk's Hole were especially expansive. Junk's Hole marks the entrance point to Captain's Bay and Windward Point, an area notorious for its bumpy, limestone roads. More of a "path" in some places, Kirmani and I debated whether we should try to make the long stretch. Fully-exhilarated, how could we not? A good 20 minute drive, it's 20 minutes of solid work. Keeping the handle bars in a straight line is no easy task on these markedly weathered roads. Once you pass Captain's Bay? The road gets even rockier. 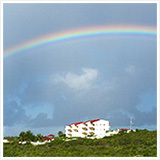 But, we had come so far and had to make it to the very far east end of Anguilla, Windward Point. We pressed on! 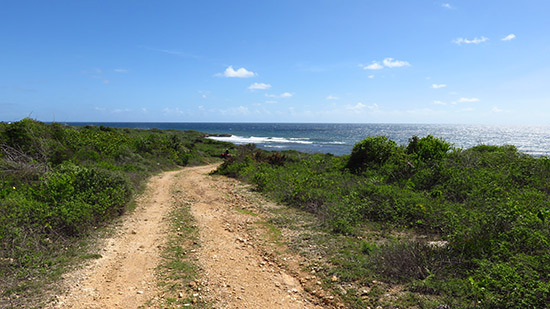 After hitting a few dead ends on our quest to make it to "the end" (it's easy to get turned around in this area as there many roads -- bring your Anguilla Google Offline Map to stay on track), we knew we were on the right path as Windward Point hill emerged in the distance. As far as you can go on a 4 wheel vehicle, we had made it! Completely deserted, out at Windward Point it's just you and the big, deep blue sea. After taking in the refreshing sea breeze and salt air, we were ready to speed up again. 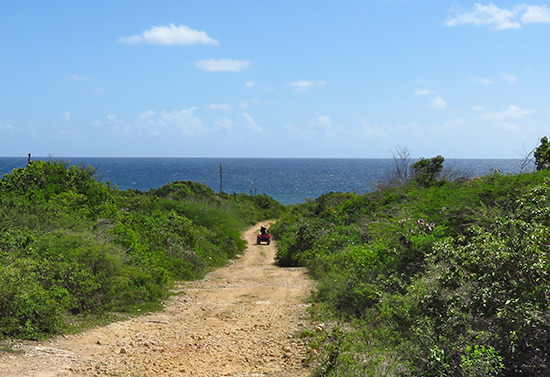 Here, you can either go back the way you came or take a shortcut that brings you to Island Harbour's ridge road. The shortcut is easy to miss. When you are heading back on the path you came, you will see a fork to the right as you approach Captain's Bay. Take that fork to reach Island Harbour's ridge road. WORD OF WARNING: This road has a particularly steep, crumbly, dangerous section. Proceed with caution! 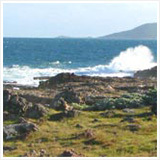 If you choose to take the risk, you will be rewarded with sensational views of Scilly Cay and Island Harbour. After that dangerous section, it's all easy driving through Island Harbour. We veered up to the Shoal Bay East's ridge road to take in that stunning panorama, too. Completely spent and wiped from a day under the sun, it was time to head back to Freedom Rentals' office. 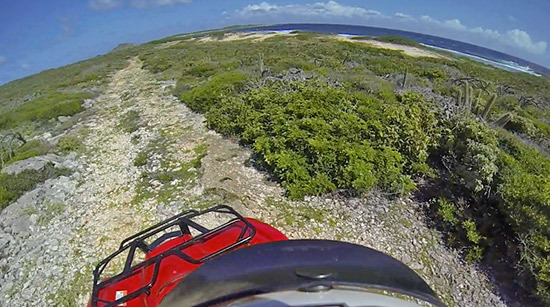 Giving you the freedom to travel to just about every corner of the island, the exhilaration of an Anguilla ATV rental can't be denied! 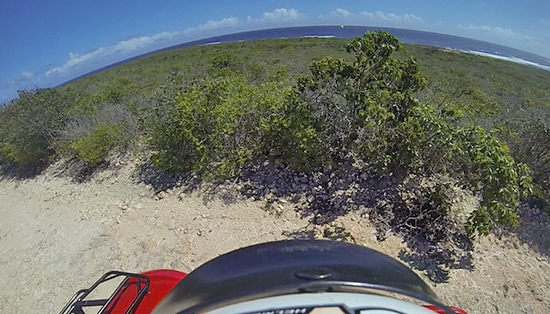 Be sure to download Google's Anguilla Offline Map to your mobile device (using Satellite mode) to get the full experience of off-roading in Anguilla. 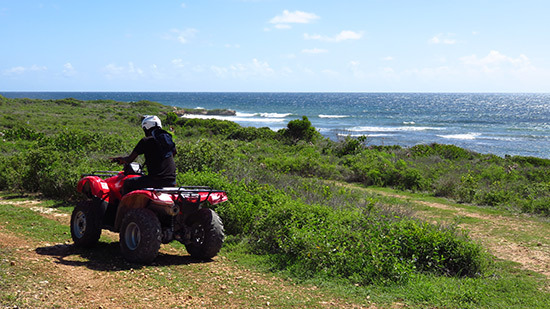 To rent an Anguilla ATV for the day, Freedom Rentals offers quality ATVs at fair prices: $75 for a half day and $120 for a full day. They also offer guided tours. Inquire for prices. 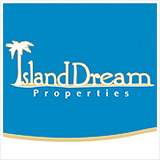 To contact Freedom Rentals, call: 264-498-2830 or 264-581-2830 or visit their official website here.